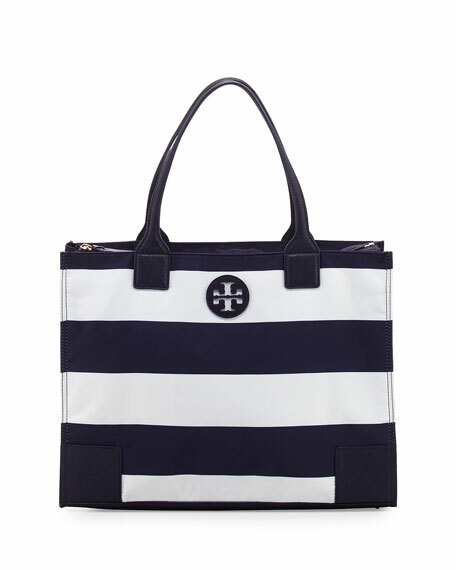 Tory Burch packable nylon tote bag in stripes with leather trim. Signature double-T logo at front. Approx. 12"H x 16"W x 6"D.
For in-store inquiries, use sku #1729733.